I had always had a keen desire to travel since I was a teenager. I was curious to know what lay beyond this small circle which I had called my world. I would wonder, what life was like in other countries. I wanted to experience different cultures, meet interesting people, try unique foods, and see the incredible places the world had to offer. But, I was only a teenager without any money. I told myself that after I completed my undergraduate degree, I would travel the world. However, the next thing I knew I was enrolled in graduate school. It was the next step, right? At least that’s what I thought at the time. I promised myself that some way or another, I had to travel after I completed my graduate work. By the time I graduated with my Masters degree, I had a huge debt to pay the university and of course no job or money! How was I supposed to travel? I know it will sound ridiculous, considering I had debts and no money, but I ended up getting a loan from the bank just so I could travel. You see, my desire to travel was so strong that getting into more debt was not a problem for me. I just needed to travel. Luckily Jason, my boyfriend at the time, also had a strong urge to travel. And so, together we began our journey into an unknown world–the world of travel. 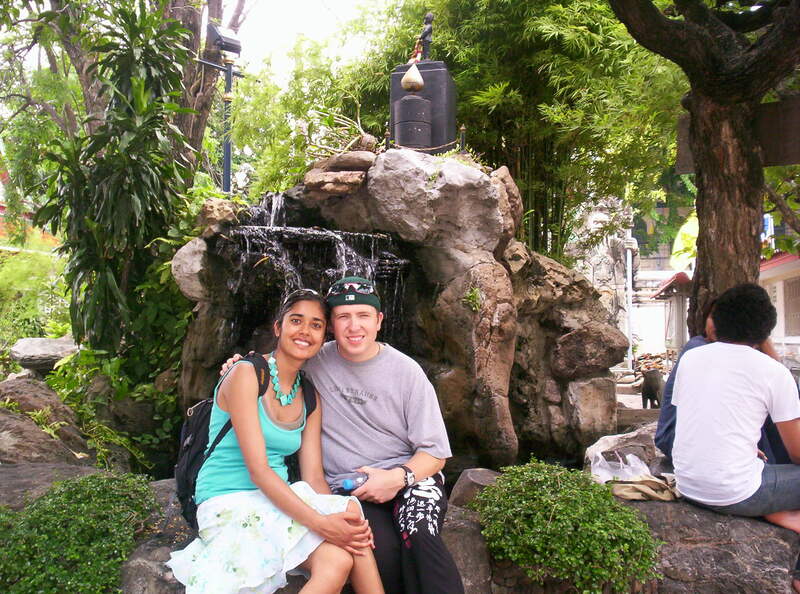 For our very first trip, Jason and I grabbed our new backpacks and flew to London, England. We ended up spending the next 4 weeks, traveling through France, Italy and Greece. The trip was incredible! It was more than we ever imagined. We were both in love with traveling. But sadly, we were back to our ordinary lives again. We continued to work odd jobs to make money for the next two years. However, my urge to travel never left me. It continued to grow stronger with time. 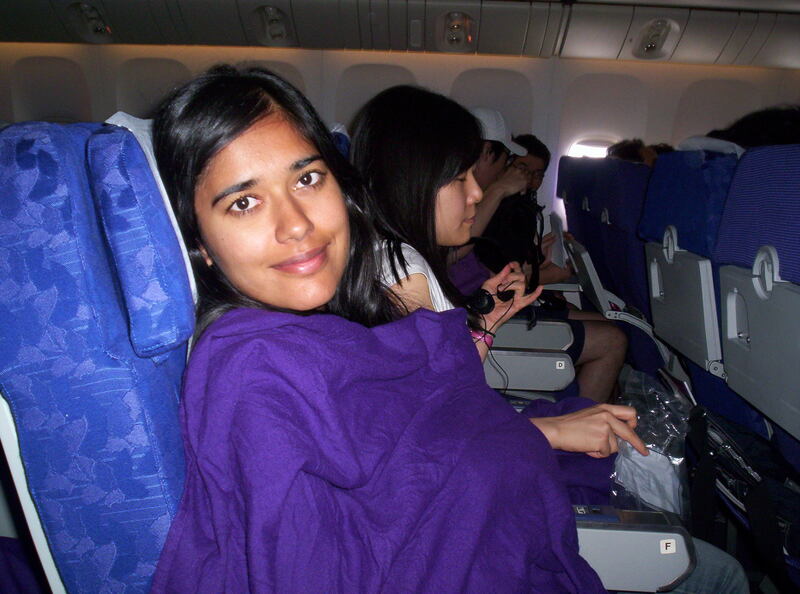 I eventually began applying to jobs in the travel industry just so I could travel. After working as a travel agent, I became a flight attendant. I had the opportunity to visit England and Scotland a few times as a flight attendant. But overall, I remained very unsatisfied. I was beginning to feel very bored with my life. Really bored. I had heard tales from other lucky travelers about their wonderful travel experiences. I heard a lot of stories about Thailand. Travelers’ eyes would light up as they told me about this exotic country. Until finally, Jason and I got that call in May, 2006. We were finally being offered to work as English teachers abroad. Within 2 weeks, we had quit our jobs, packed up our lives in Canada, and were on a plane to a foreign country called South Korea. This whole adventure ignited a spark that would change our lives forever. Little did I know at that time, but South Korea would be our golden ticket to the world of traveling and happiness. Within 2 months of being in South Korea, we had our first vacation. And, you may have guessed it. We were on a flight to Thailand! 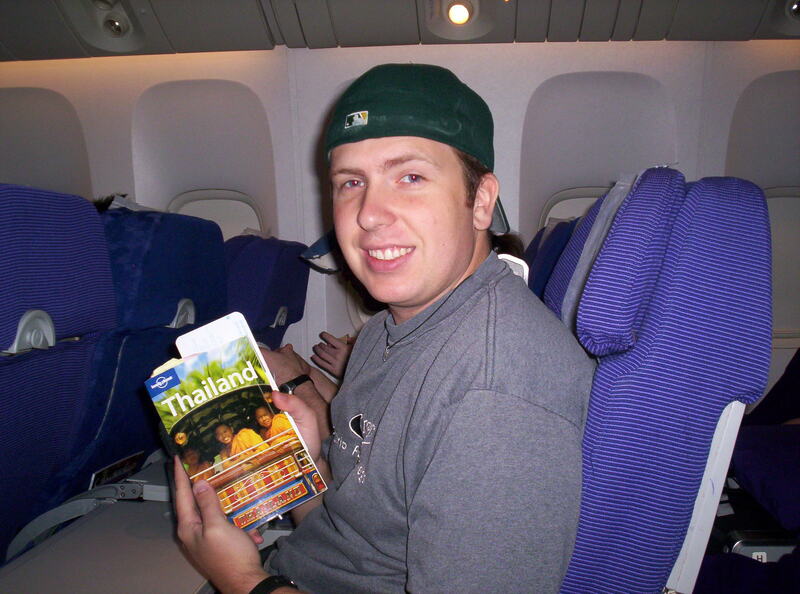 Since then, we have been to Thailand 7 times and traveled to about 30 countries!! Dreams can come true, you only need to believe and then find a way! On my way to Thailand for the very first time in my life! While in Canada, Jason surprised me with this Thailand guidebook. He gave it to me as a reminder that one day we would travel to Thailand. Smart, man! 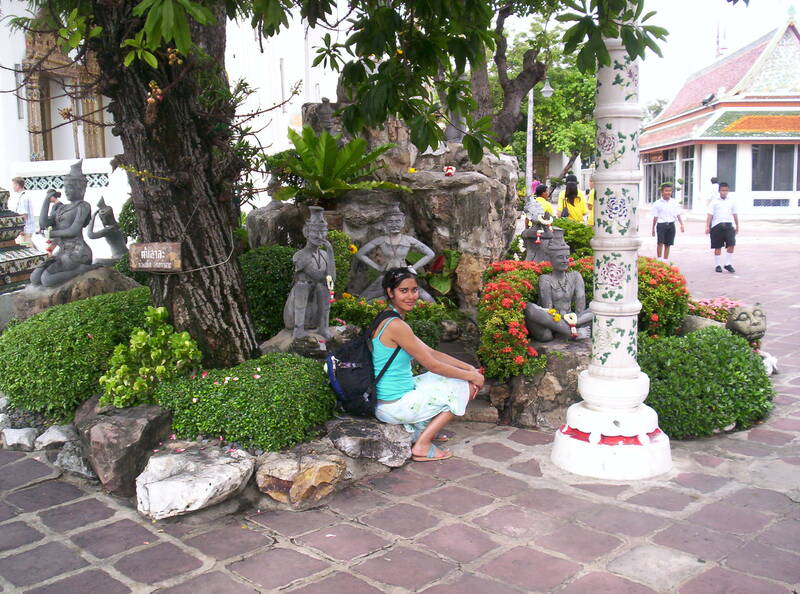 Relaxing at the Grand Palace in Bangkok, Thailand.